An all-new Chemotherapy and Infusion Center for Complete Care from Screenings to Treatment. The East Tower's all-new Chemotherapy and Infusion Center features easy access from the guest parking garage to a large 15-bay facility. The treatment areas are positioned around a nurse's station and serve as the central point for patient and treatment monitoring. Sun-filled windows overlook a garden as natural and healing light filters onto the patients' treament area. Each area offers a plush reclining chair, flat screen TV with DVD and a visiting space for family and friends. As a provider for El Paso's only National Accreditation Program for Breast Centers (NAPBC), one-third of the women diagnosed with breast cancer in the county receive support. This is made possible by a close collaboration between UMC and Texas Tech University Health Sciences Center's (TTUHS) Garbar Breast Care Center. Our Infusion Center also houses the Marcy Aboud Infusion Boutique where cancer patients have an opportunity to meet with beauty consultants and experts who show them how to wear and maintain wigs. They also share creative ways to wear scarves or hats and how to apply cosmetics. The Cancer Clinical Research Core (CCRC) Facility is located in the hematology/oncology department of internal medicine at TTUHS's Paul L. Foster School of Medicine. Together, a strong commitment provides excellence in patient care, working in multidisciplinary teams and collaborating with the community on research efforts. 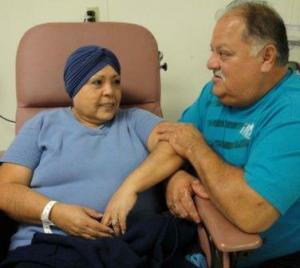 CCRC provides cancer patients with access to groundbreaking clinical trials and research. Read about Diana Vallejo's experience and recovery! Donors make a difference in Oncology and Infusion. 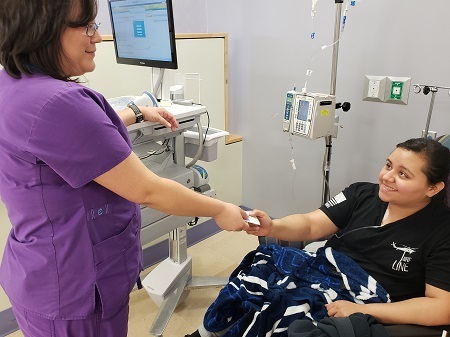 Donors interested in more information about Oncology and Infusion donor opportunities that impact our community's population can email donate@umcfoundationelpaso.org or click here to donate now. Foundation volunteers provide amenities and special support to Oncology & Infusion patients and families. To learn how to become a volunteer, email volunteer@umcfoundationelpaso.org. 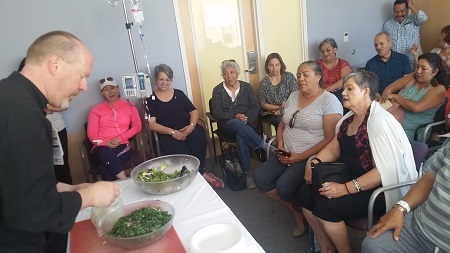 Entirely funded through University Medical Center's Foundation, the Healing Arts Program integrates dynamic and inspirational art from local and regional artists in every area of the hospital including Oncology and Infusion, improving the hospital experience for patients, families and caregivers.